Disneyland Paris Donald Duck Drinking Glass There's nothing bad-tempered about our Donal..
Disney Mickey Mouse Patterned glass Code: 2029 Printed Mickey Mouse artwork glass. Black an.. Character Stitch Drinking Glass Code: 2504 There's nothing bad about our Interg..
Disneyland Paris Parisian scene Glass Code: 2942 •Wraparound character artwork in a Paris..
Jack Skellington Shot glass Raise a glass to Halloween! Pumpkin King's head Jack Skellington .. Printed Mickey Mouse Body parts glass Code: 2321 Raise a glass to Mickey! 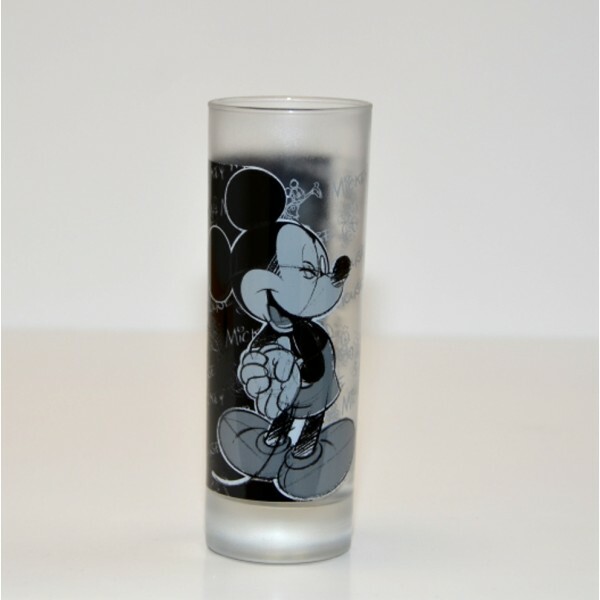 Our Mickey Mouse gla..
Disneyland Paris Mickey Mouse Comic Strip Tall Glass Code: 2138 Mickey Mouse Comic Strip glass..
Disneyland Paris Mickey Mouse Patterned glass and Mug Set You'll feel fortunate with every dr..